In Huntsville, there are so many fun things to enjoy for all ages. There’s the Carousel Skate Center and the Skate Odyssey for hosting birthday parties and getting your skate on. There’s the Southern Adventures for water and an amusement park all in one. There’s also the Mall Jump for the kids to get rid of some energy while you watch the big smiles on their faces. When you’re looking for some family-friendly fun around Huntsville, check out these 4 fun spots in town. What is Mall Jump exactly? This action-packed fun time is found in the Parkway Place Mall of Huntsville featuring a trampoline in the middle of the mall. The kids will get strapped in and start jumping really high like an indoor bungee jump. The straps will raise them during each jump to make sure their jumping takes them high. Get a group discount or bring your birthday party to Mall Jump for a day of fun. 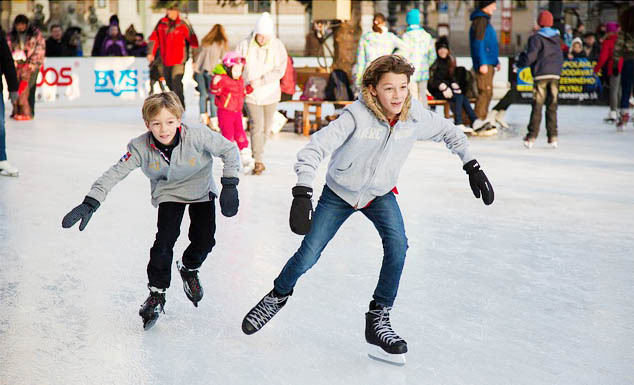 If you want to stay indoors and have fun with the whole family, spend the day skating at Skate Odyssey or Carousel Skate Center. They are perfect for groups, birthday parties and special events. Get a special rate for groups, rent your skates right there and you can even try skate lessons. Carousel is located at 1201 Winner Avenue in Huntsville all week long while Skate Odyssey can be found at 11319 Memorial Parkway SW. Skate Odyssey is the premier skate center in the city featuring the best hardwood for skating, an indoor party room, big screen TVs and special events like The Skating Dead to celebrate Halloween. Check out Southern Adventures for something really unique to do in Huntsville. It’s another kid-friendly, party-friendly and group-friendly spot featuring a family-friendly atmosphere. This water and amusement park is open all year for all ages. Check out attractions like the water park, golf courses, go-kart, carnival rides, a rock-climbing wall, food and more. For fun things to do in Huntsville, these four spots are a great place to start! Great job, John! Thank you for sharing. There are always many things to do in Alabama.Amazing attractions in Alabama For the tourist. Many kinds pf sports as well. Thanks for sharing the post on Huntsville,Alabama and its adventures.